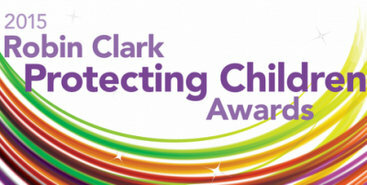 Celebrate their efforts by nominating them for the 2015 Robin Clark Protecting Children Awards. The new and improved 2015 Award categories are open to individuals, teams or groups who work in the Department of Health & Human Services child protection program; other public service organisations; Aboriginal Community Controlled Organisations (ACCOs) and community service organisations; education; and academia unless stated otherwise. This year’s awards offer an exciting new platform that combines the recognition of the Robin Clark Memorial Awards and Protecting Children Awards of previous years, bringing together workers across the vast and varied spectrum of child protection and family services. Nominations close on Monday 29 June and winners will be announced at the Robin Clark Protecting Children Awards ceremony held on 8 September to launch Child Protection Week in Victoria. This year will see the introduction of the prestigious Robin Clark Leadership Award – created in memory of the visionary Robin Dennis Clark who greatly influenced child and family related policy and practice in Victoria. National Child Protection week will run from 6 – 12 September, led by the National Association for Prevention of Child Abuse and Neglect, and promote the key message: “Play Your Part – protecting children is everyone’s business”. For further information about the awards and categories, and to nominate visit www.dhhs.vic.gov.au/childprotectionweek.